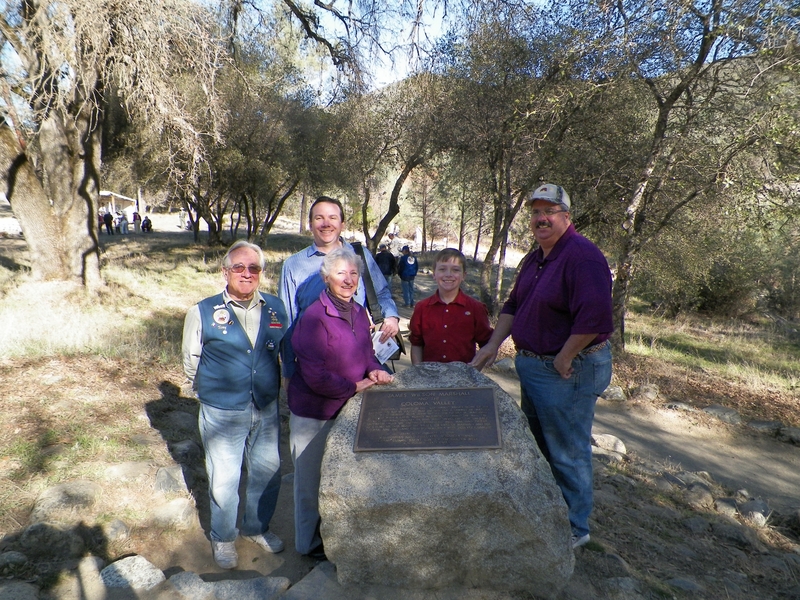 Additional Description: Native Sons of the Golden West Members pose by the monument. The location of the new replica sawmill is visible in front of the tent in the left background. Submitted: February 3, 2014, by James King of San Miguel, California.